In the previous post I explained why is it important to know the dust levels. 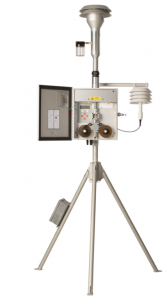 There are lots of Air Quality Monitoring stations out there that stram data online. In case you leave nearby such station there may be no need to explicitly measure the outdoor dust levels around you. 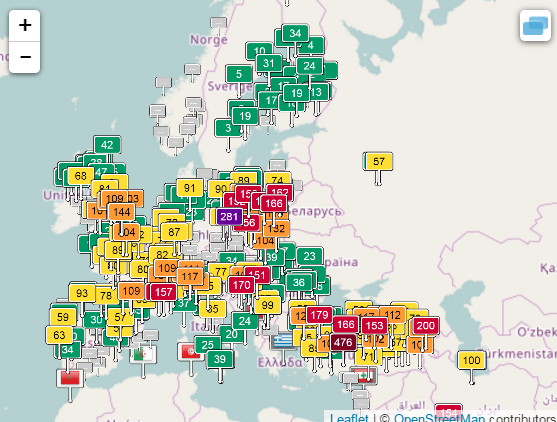 Sadly, as it can be seen some countries are not reporting AQI Data. And in the others – it is limited to major cities. The nice thing is that it also takes meteorological information about Temperature/Humidity/Pressure/Wind and gives you an AQI forecast. This way you can plan upfront if you will need to take actions to avoid air pollution in the next couple of days. Usually the values are averaged, so this means at Saturday i should be able to measure levels above 200 ug/m3 at certain times. In all cases where you can not obtain public data about Dust Levels (e.g. at home), you can measure it on your own. Depending on the quality of the measurement you like, depth of your wallet and time you want to spend – there are different solutions. Official Measurement stations look like this. They cost 1000s of Euro and are very accurate. They are the ones used to measure and report official values for City Dust Pollution as reported by the aqicn.org site and other places. Several years ago they were the only source of information. Luckily with the advancement of technology, now smaller and hundreds time cheaper modules are available. They are almost as accurate as those one. The low price allows the creation of lower-cost consumer grade devices. The Dylos DC1000 Pro is a very precise device that is often used as a reference when comparing lower-priced sensors. It delivers quality close to the one of the BAM stations for 10+ times lower price. Still it’s price is quite high, it isn’t too smart. But it does it’s main competency pretty well. A good review of its features can be found here. While there are quite a few other commercial devices in the range 150-200€ (Foobot, Awair, Netatmo, etc). The job they do well is great marketing, very consumer friendly (mobile and online apps) and nice packaging. 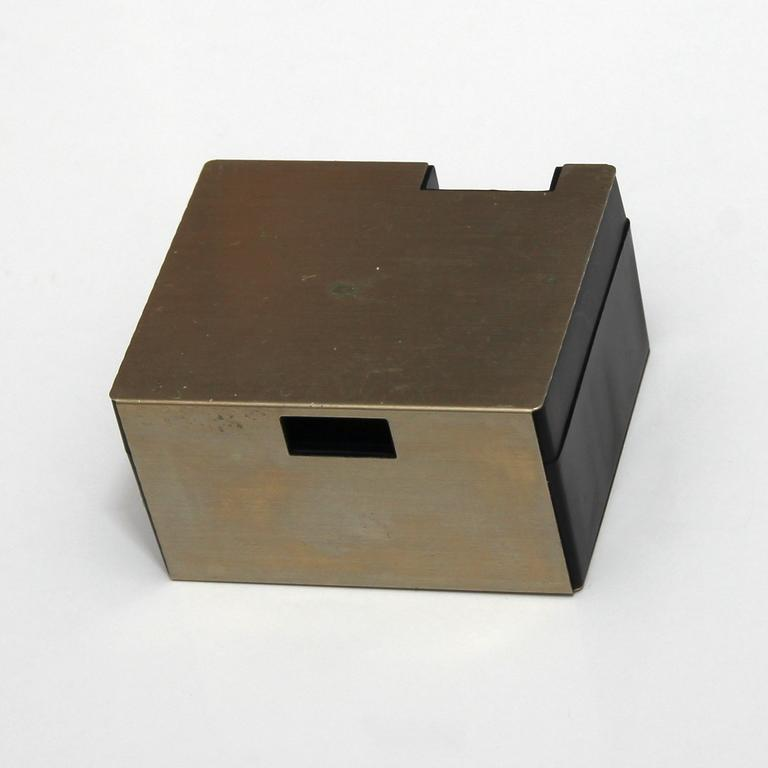 The sensors they use are not necessary of best quality and precision. And the majority of the money they cost goes to those features. In this blog I would like to rather explore other options that deliver similar or better functionality. The vThings – Dust Monitor is based on a high quality Laser Dust Sensor (PM2005 from Cubic Gas Sensors). While it lacks the consumer friendliness of the higher priced devices you can use it to report data to a variety of online services or home automation systems via HTTP, MQTT or RF 433/315. Additionally it can be equipped with a CO2 Sensor and Temperature/Humidity/Pressure Sensor to make it a full fledged environmental monitor. 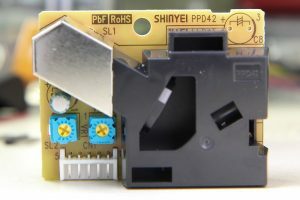 The actual sensor costs 40€ and can be bought here, if you are on a tighter budget. The vESPrino firmware has native support for it. So making your own Dust monitor in 10 minutes is breeze. 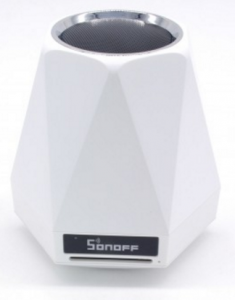 The Sonoff SC was released end of 2016 and is indeed a revolution in the low-priced Air Quality Monitoring niche. It makes use of the Sharp GP2Y1010AU0F Optical Dust Sensor (click here for a nice performance review of this sensor). The sensor allows you to “count” particles and then based on this estimate the ug/m3 value. 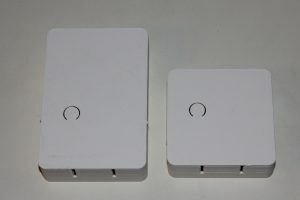 The Sonoff device comes with a nice app and WiFi connectivity. As well as Temperature/Humidity measurement, VOC, Ambient Sound and Light. There are a plethora of instructables and other wire ups like – “Build your own WiFi Thermometer for 5$, etc) That require extensive electronic and programming skills. Now Sonoff combines all of this, puts it into a nice enclosure and adds a low price tag. Even more it is based on the ESP8266 so eventually one could write it’s own firmware and just reuse the hardware. 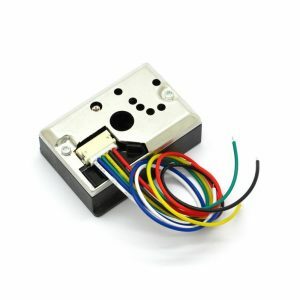 Of course if you have a little spare time and some electronics knowledge you can build your own sensor. By reusing spare parts from past projects most of the expenses can be mitigated. 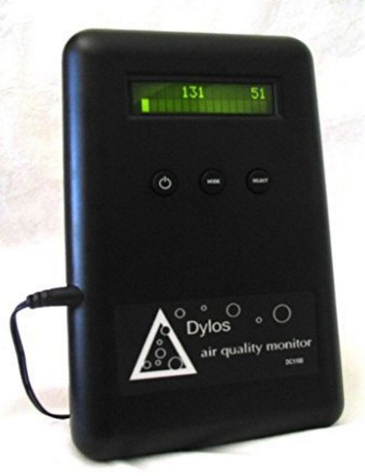 There are several cheap sensors that rather give you an estimate of the number of particles. So you wouldn’t get an ug/m3 reading out of them. Most of them look like those ones. People have been successful in getting some consistent results out of them by putting some additional fans. I personally had no luck. My sensor was giving too random results. The AQICN site also has nice reviews on some of the common sensors. Another good thing good thing about them is that there are tons of discussions and examples – how to make them run. 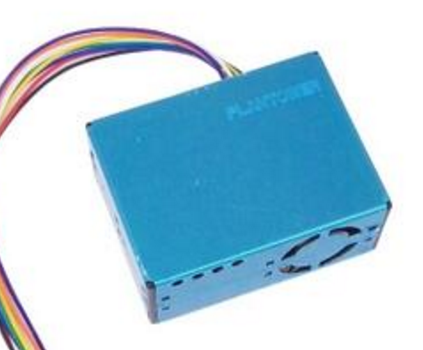 In the last couple of years the Laser Dust Sensors have become quite popular and cheap. You can find them in the range 15€ – 40€. Most of them are interfaced via I2C and the most popular of them already have Arduino Libraries. 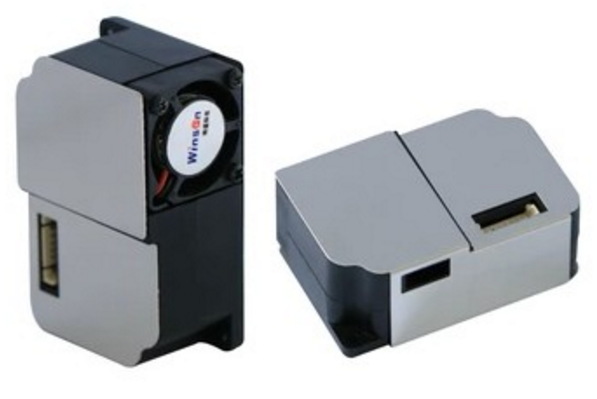 An important aspect of them is that all of them have built-in fans to improve air flow and accuracy. Sadly – those fans emit noise, which especially in quiet bedrooms can be heard. Usually their measurement interval is 10-30 seconds. So if you keep measuring once per hour or so during the night – this would not be too bad perhaps. In my own vThings – Dust Monitor I selected the Cubic 2005 which has been quite reliable. I haven’t compare it against other sensors though. Sadly most of the reviews of sensors on the AQICN site are either for good sensors that are no where to be found or for sensors avaiable on aliexpress, but with low quality.